The USB 3.0 SuperSpeed specifications boost will up the power delivery to 100 watts, from just 10 watts, through delivering a maximum of 20 volts at 5 amps. 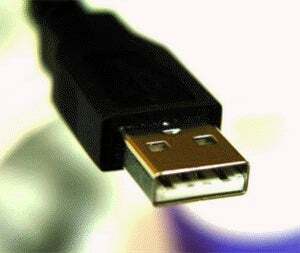 This means that you'll be able to transfer data to your USB 3.0 devices at an increased rate, as well as potentially power a range of items without the need for a dedicated power cord. You can have an HDTV with a USB hub built into it where not only can you exchange data and audio/video, but you can charge all your devices from it. This power delivery capability is going to extend the ease of use for consumers, reduce clutter in the work and home environment, but also reduce electronic waste filling up landfills with custom chargers.